Helping to lay the groundwork for the black hole imaging, and providing the theoretical underpinnings that enabled the researchers to interpret the mass, underlying structure, and orientations of the black hole and its environment, were supercomputers at The University of Texas at Austin's Texas Advanced Computing Center (TACC) — Stampede1, Stampede2 and Jetstream — all three of which were supported by grants from the National Science Foundation (NSF), which also provided key funding for the EHT. "You pretend you're an observer looking at the system from some viewing angle," said Narayan. "You ask: ‘What would I observe if this were the real system? What kind of image I would see at this spectrum?'" 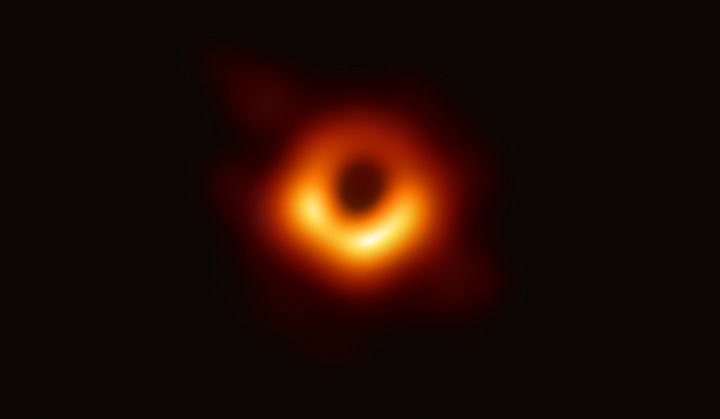 Researchers from the Event Horizon Telescope collaboration used Stampede2 to perform relativistic simulations of M87. These were compared with data from the radio telescopes to help confirm the final image. "M87 is the nearest galaxy with a supermassive black hole that's generating a powerful jet — a beautiful streamer made of plasma travelling at close to the speed of light," Gammie noted. The Extreme Science and Engineering Discovery Environment (XSEDE), a virtual organization funded by NSF that integrates and coordinates the sharing of advanced digital services across the U.S., awarded time on TACC systems to the researchers.